The folk art inspired by Day of the Dead, celebrated in Mexico and around the world, including the American Southwest, powerfully communicates the cultural traditions of this joyous holiday. 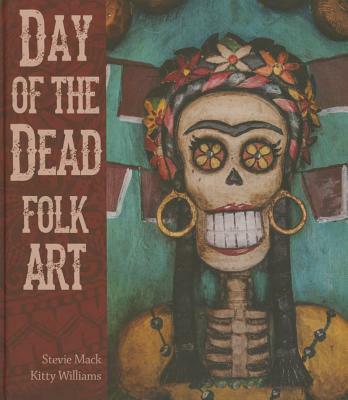 As a companion volume to the authors' Day of the Dead, this book focuses on the artistic imagery of Day of the Dead, including the skulls, skeletons, and the iconic figure of Catrina, as seen in various pieces of market art, community art and contemporary art. The work and influence of important Mexican folk artists, such as Jose Guadalupe Posada and Diego Rivera, are represented and discussed. STEVIE MACK and KITTY WILLIAMS have led Day of the Dead art and cultural tours in Mexico for many years. Through their company CRIZMAC Art & Cultural Education Materials, Inc., they produce award-winning curriculum resources for schools and institutions, including video programs such as Flickering Lights: Days of the Dead. They live in Tucson, Arizona.